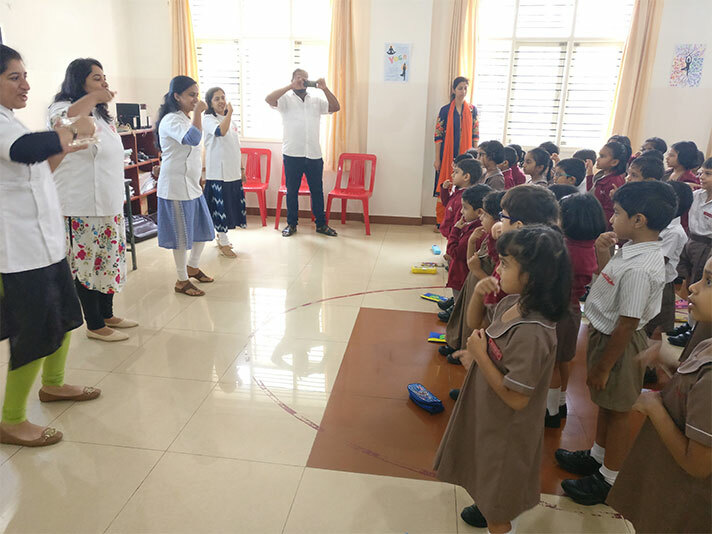 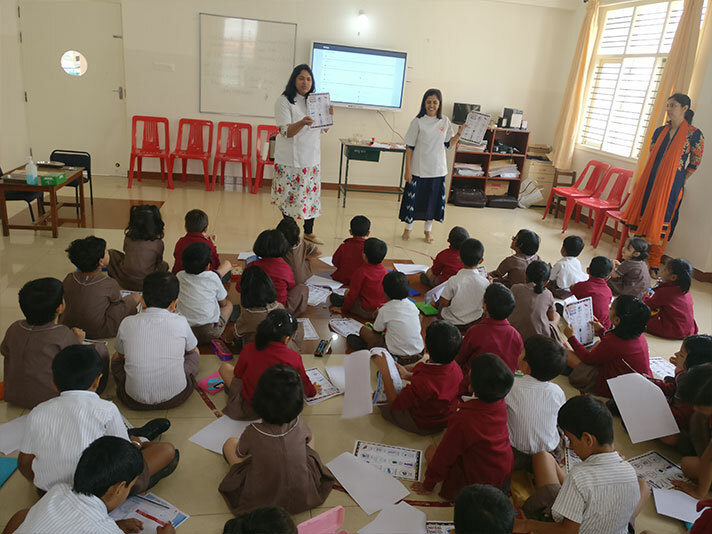 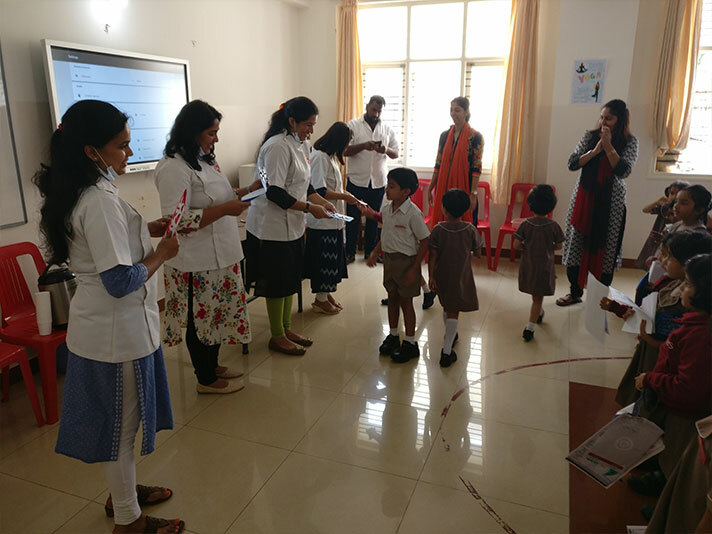 The topic in EVS for the KG II students for the month was ‘Health and Hygiene’ for which we had invited a team of dentists from ‘Dental Den’. 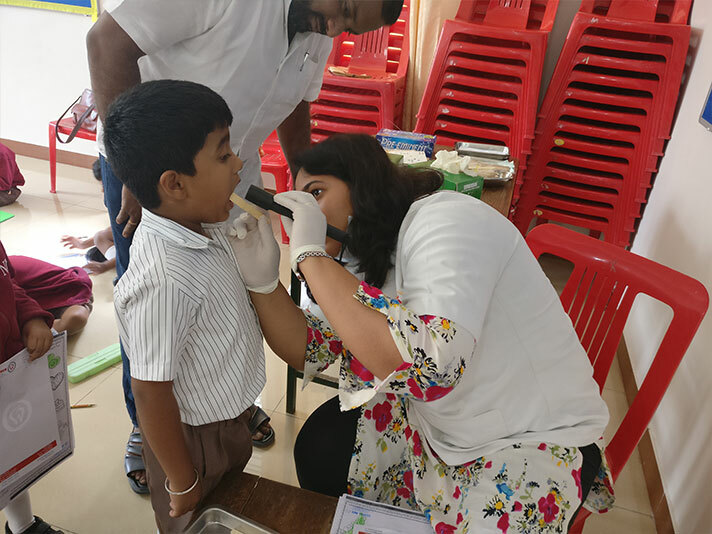 Dr. Lakshmi Roopesh with her team of doctors had come to advise and explain the importance of taking care of one’s teeth. 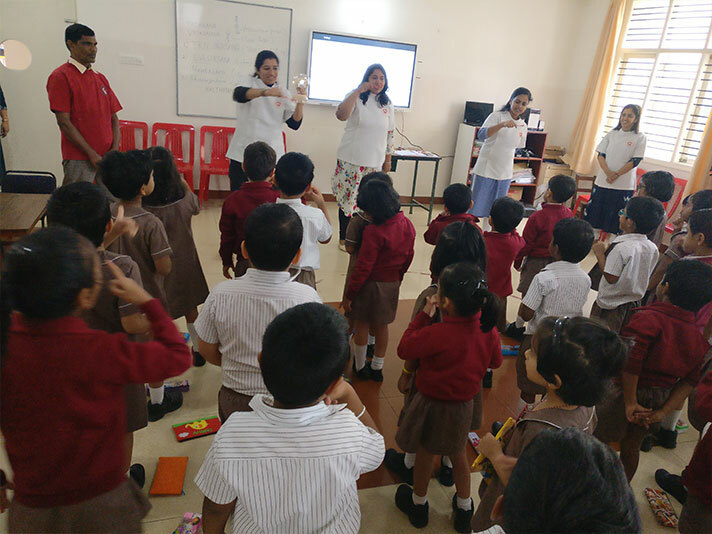 They started with a story on dental care followed by an action song demonstrating the right way to brush the teeth. 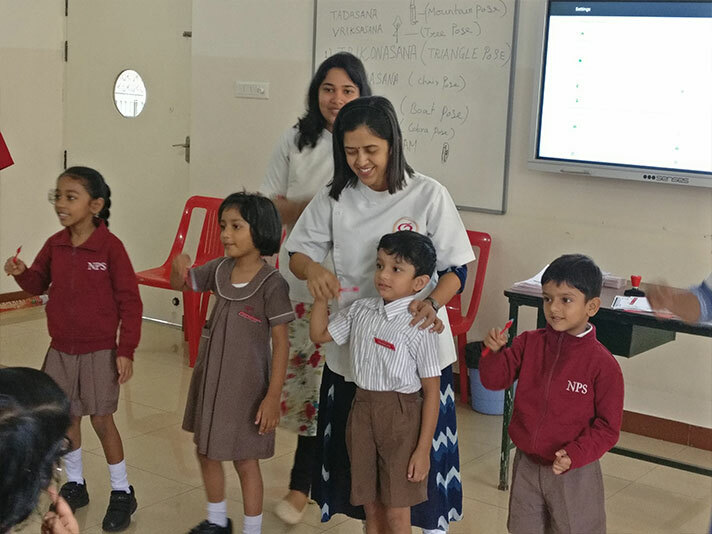 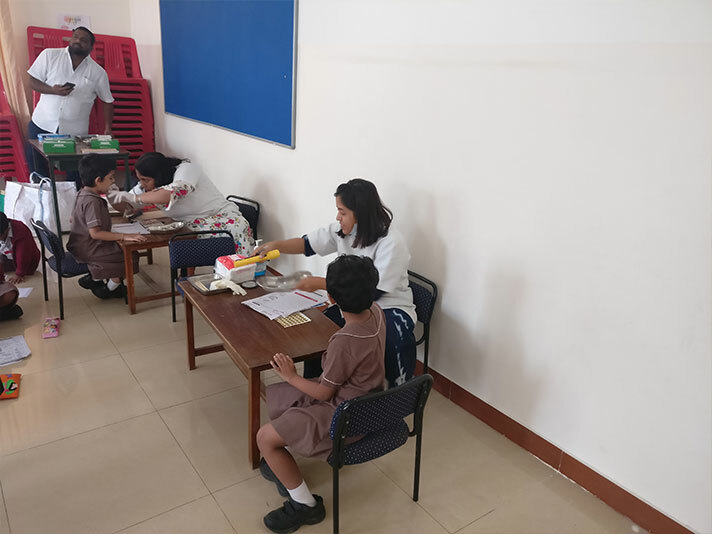 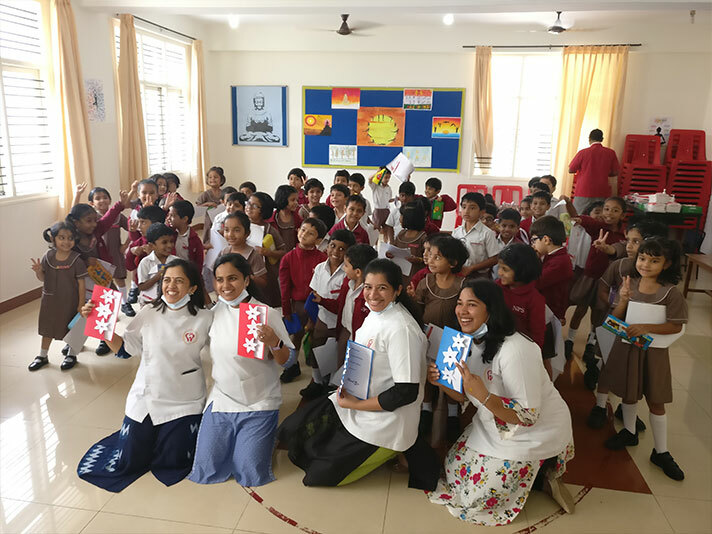 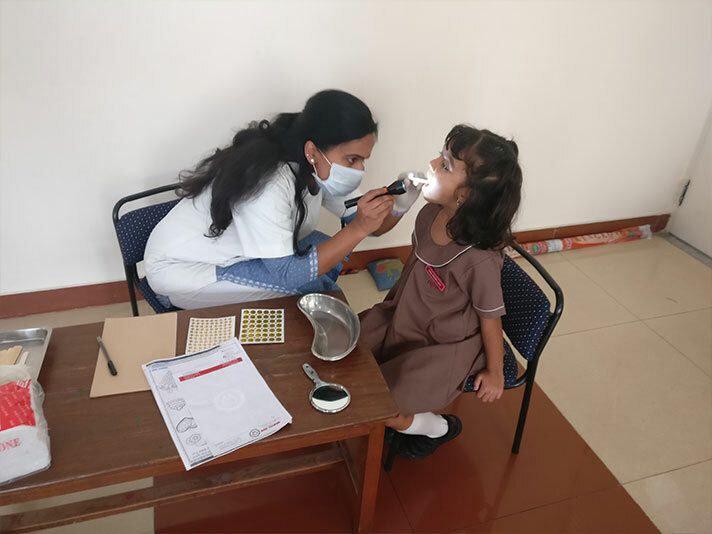 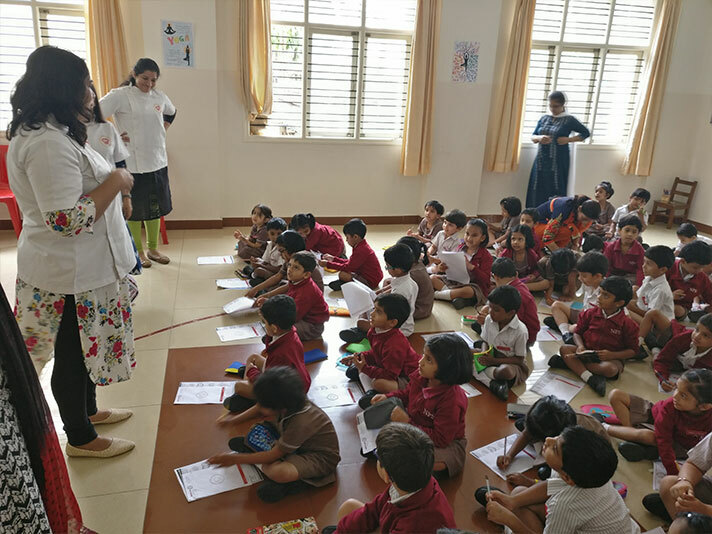 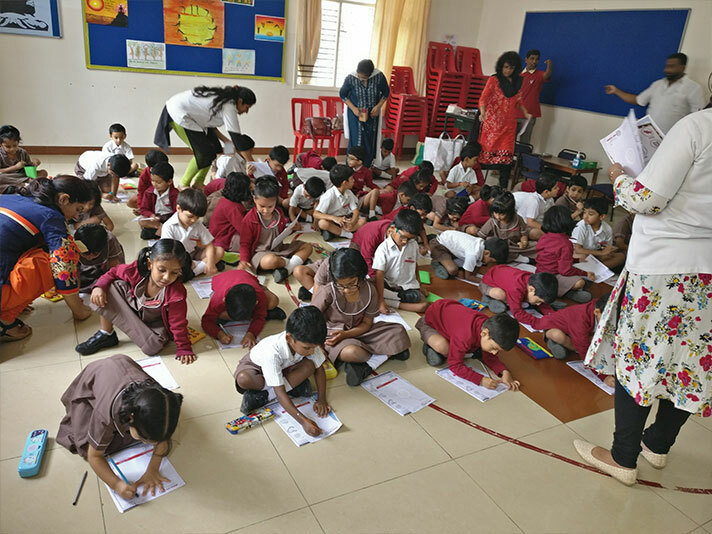 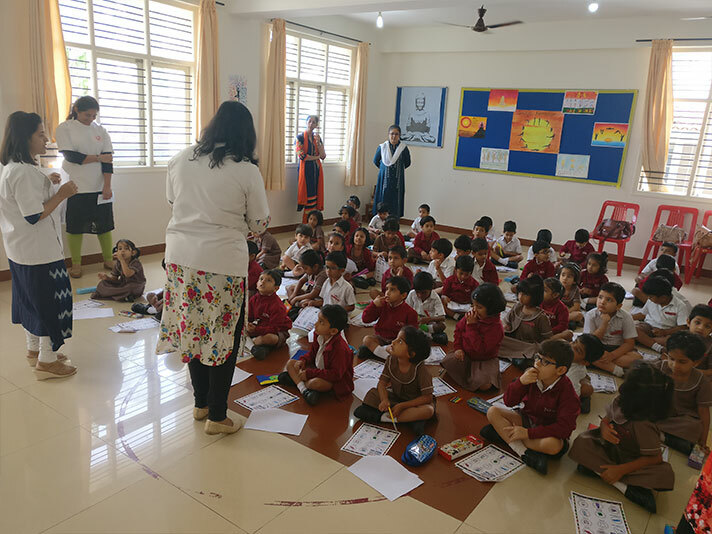 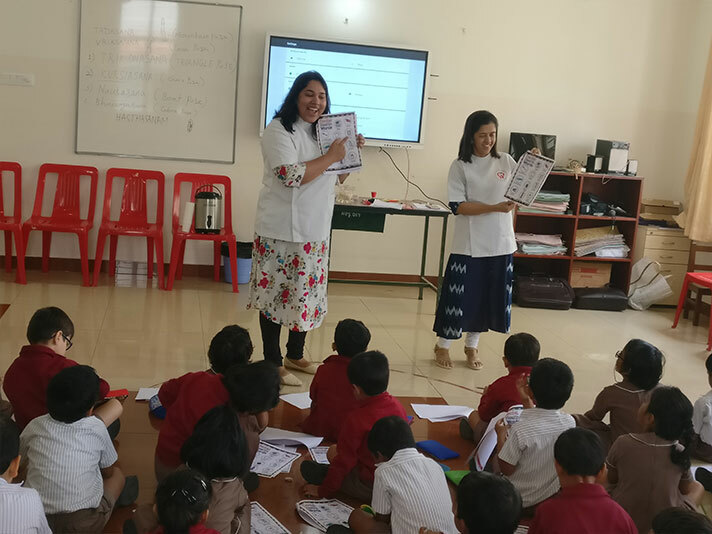 This was followed by an activity sheet in which the students had to identify and colour the food that is good for the teeth and simultaneously dental check up for all the students was done by the team of dentists.